With the understanding that a borrower is free to select the lender of their choice, SUNY Buffalo State will promptly service any loan by any lender selected by the borrower. The Financial Aid Office will continue to educate students and families regarding the financial benefits and/or implications that come with the various loan products.  For specific policy, procedures and criteria considered by SUNY Buffalo State relating to the inclusion of the Recommended Lenders listed below, please click the lender to view their completed RFI.